TAICHI is an informational program (co-funded by the European Union) whose aim is to promote the knowledge and the use of European olive oil in China and Taiwan. 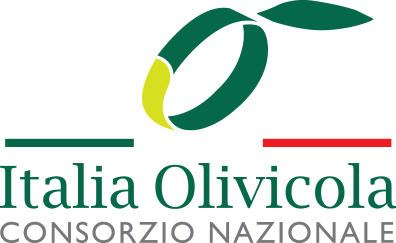 The two main consortia of Italian olive growers, Italia Olivicola (as leader) and UNAPOL, support and finance the program. The purpose of the project is to spread the culture of olive oil, especially of extra virgin olive oil, in the Countries where the consumption of this product is still small but with great potential growth opportunities. In the period of three years which correspond to the scheduled project life, many promotional activities will be accomplished. They will range from market research to the participation in fairs and press events, from the implementation of social and web advertising campaigns to the promotion in the outlets with guided tastings. They will also include promotional spots and videos on the channel Ho.Re.Ca. and training courses in hotels and catering schools. Last but not least, the program will carry out incoming missions to show the places of origin and the techniques of production of the olive oil, a true excellence both in the field of good eating and of healthy living. improving the competitiveness of the product (in comparison with other oils) favouring at the same time the willingness of the people involved to consume olive oil, in particular Italian extra virgin olive oil. To achieve these goals it is necessary to exalt and reinforce the image of olive oil, and also to improve the knowledge of quality-oriented production processes, as well as traceability, food safety and a stronger awareness of the nutraceutical properties of the product. The TAICHI project’s implementing actors are two national consortia, Italia Olivicola and UNAPOL: they associate 69 Territorial Producers Organizations representing almost 300,000 Italian olive growers, corresponding to 55% of the global set of associated olive growers. The main values inspiring the three national consumer protection and advocacy Unions are: quality, health, transparency and the conservation of the historical and cultural heritage. Their major activity consists as a matter of fact in providing the members specific technical assistance services for the production, the training and the certification of extra-virgin oils (traceability systems, organic cultivation, origin and authenticity of the certifications). The two consortia are present on the whole national territory with the exception of three regions: Piedmont, Valle d’Aosta and Trentino. UNAPOL – Società Consortile A.R.L.